How is everyone? Remember a couple of weeks ago I mentioned that I had read some really interesting blog posts that I thought were very thought provoking and interesting? I would like to put these all together and share them with you. As a newbie to designing I have not put too much thought into selling my items and/or patterns but I would like to in the future, and these posts cleared up a lot of unanswered questions I had. The first post came from a discussion on the Crochet Camp 2013 Facebook Group as to what laws apply to copyrighting your patterns and work. Despite the endless possibilities with crochet, some basic items are generally put together in the same way. For example, take the granny square which is one of the most widely used crochet motifs. Who designed it? Are we not all just copying this unknown person whenever we make something using a granny square motif? Can we really call an item made from a granny square our own design? To be honest, I haven't the foggiest! 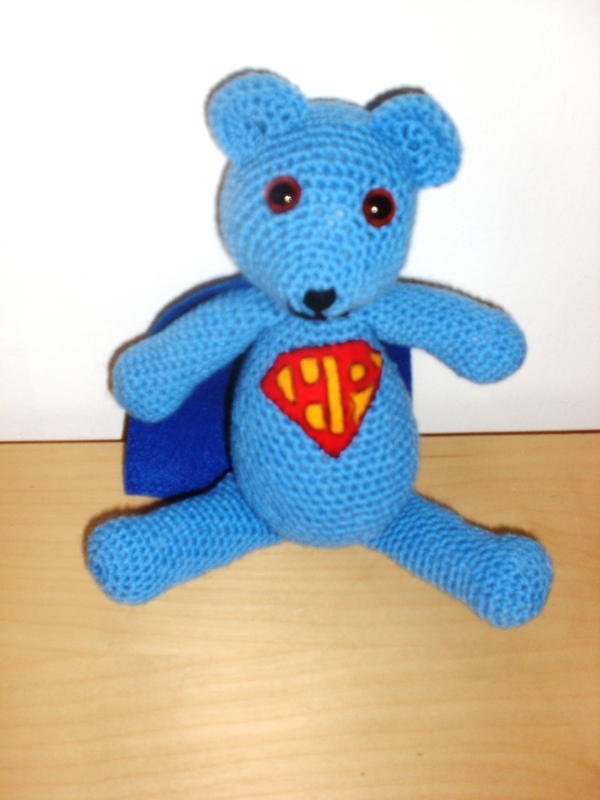 However, this post by Jen of LPCrochet, 'Hey.... that's mine!' gives us an insight into the actually law regarding patterns. Its a great read so I would encourage you all to have a look. It actually seems that it is only the pattern that is subject to copyright. So you can make things from someone else's pattern and do what you like with them (including selling them!). The only legal 'no no' is copying the pattern and passing it off as your own....and come on......who would do that anyway. So it seems, us crafters are doing nothing wrong if we use other people's patterns (and why wouldn't we with the multitude of free ones available?!) and sell items made from them. This is legally though. Morally it is still a tough one I think. Personally, and I know most would agree with me, it is always a matter of politeness to give someone credit for their design (all though legally you have no obligation). Plus, if someone has made something of my design I would love to see it purely out of curiosity (plus its proof that the pattern is correct!). There are also issues with 'mass production'. If I had designed something and a company decided to mass produce it without even letting me know then I would be very annoyed to put it mildly. There is a brilliant discussion about this following Jen's post that is worth a look. What do you all think? What about adapting patterns? I would be really interested to hear your opinions. I think that taking even parts of patterns and adapting them still breaches copyright laws. But then take the granny square again.....there are only so many variations, does this mean that using a pattern incorporating granny squares is plagiarised from someone else ? What if you have never looked at a crochet pattern before and then designed yourself something that ended up (purely by chance) being very similar to something someone else has done? This topic is endless with so many ins and outs. This moves me on to the next controversial topic regarding crochet design and selling.....how much should you charge for your work? I know many of you don't sell your work as it is very hard to make any money on it.....yarn can be very expensive and the amount of time taken to complete a project can amount to days. If you price things to make a decent profit then it may prove hard to actually sell your work. I know I have been guilty of browsing craft fairs and making exclamations about the extortionate price tags on home-made items. However, since I have been making more myself I totally understand why crafters charge what they do. But, what should you charge??? I have also been reading a business series of blog posts by Lorene Eppolite of 'Cre8tion Crochet' about setting up your own crochet business. This is a brilliant series of 'lessons' from deciding what to sell, to pricing your work and maintaining a good work-life balance! Fantastic stuff! If any of you have any ideas or comments relating to any of the above, or if you have any experience with setting up your own business I would love to hear from you :-) It would be great if we could get a mini discussion going about the fun and crazy business of crochet! ......Its a super-hero teddy I made for my fab friend Hannah (initials 'HP') for her Birthday earlier in the year. Fantastic post and thank you for the mention.